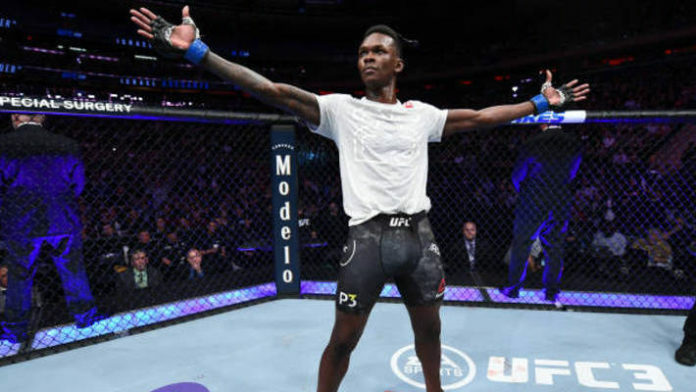 Ultimate Fighting Championship (UFC) president Dana White believes Israel Adesanya might become a huge star. Last night (Feb. 9), Adesanya did battle with Anderson Silva in the main event of UFC 234. The initial main event between middleweight champion Robert Whittaker and Kelvin Gastelum was yanked when Whittaker suffered a hernia in his abdomen. Adesanya ended up earning a unanimous decision against Silva. “It was fun. That first round was like a kung fu movie. It was a fun fight to watch, very fun. Two guys who are incredibly talented. I was saying yesterday, any oddsmakers that make Anderson Silva 7-to-1 is out of their mind. The guy’s always taking care of himself, he’s a great martial artist, and that was a fun fight. Do you think Israel Adesanya will become a UFC champion?